WHAT’S NEW: TYPE YOUR FAMILY SURNAME INTO THE SEARCH BOX TO LOCATE OBITUARY INFORMATION I AM CONTINUALLY UPDATING ON THIS BLOGSITE, MOSTLY IN PAGES UNDER THE “LITHUANIAN FAMILIES” TAB. SEE HOW YOUR LITHUANIAN FAMILY RELATES TO OTHERS THAT IMMIGRATED TO THE SPRINGFIELD AREA. SO INTERESTING! 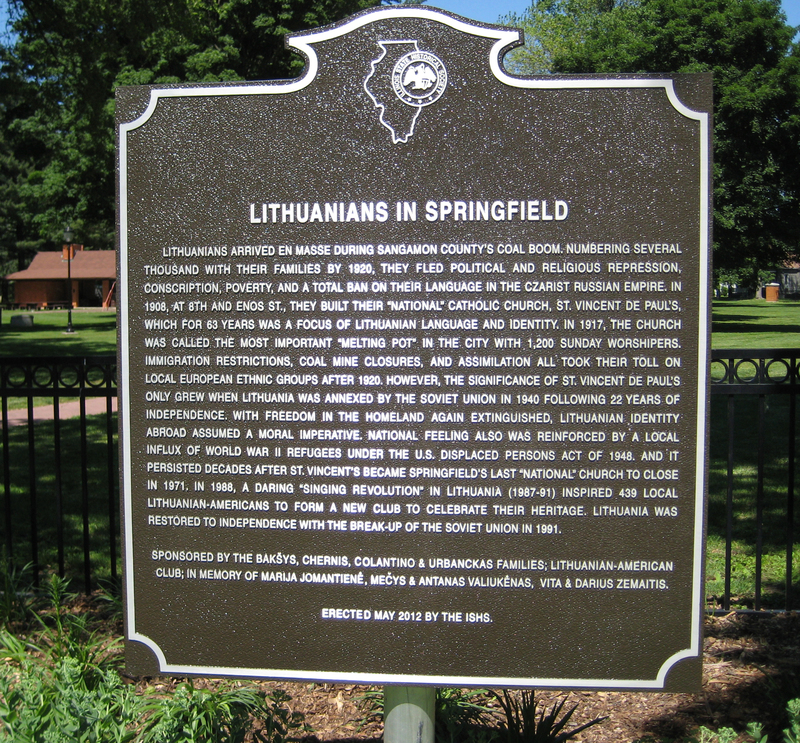 In the first years of the 20th century, Lithuanians arrived in Springfield, Illinois en masse, fleeing political and religious repression, conscription, poverty and a total ban on their language in the Czarist Russian Empire. 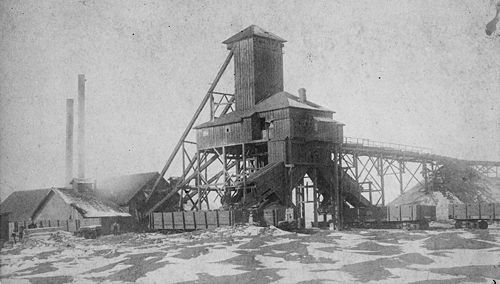 Male immigrants who had previously worked in the mines of Scotland and Pennsylvania came seeking jobs in Sangamon County’s coal mines. Many who had not previously started families found wives here among the young women also immigrating from Lithuania. The total population of Lithuanian-born with their American-born children numbered several thousand in Sangamon County by 1920. Most of the Lithuanian-born adults were illiterate or barely literate due to the language ban in their home country. Predominantly Roman Catholic, these Lithuanians signaled their intent to form a permanent community when, in 1908, they laid the cornerstone for St. Vincent de Paul Catholic Church at Eighth and Enos Streets. For 63 years the church served as a focus of the Lithuanian language and identity, swelling to 1,200 worshipers in 1917. After 1920, immigration restrictions, mine closures, and assimilation took their toll on all local European ethnic groups. However, following the annexation of Lithuania by the USSR in 1940, after the country had enjoyed 22 years of independence, Springfield’s Lithuanian Catholic church only grew in significance. With all freedom in the homeland again extinguished and the independent nation of Lithuania literally wiped off the map, preserving Lithuanian identity abroad became a moral imperative. Lithuanian national feeling also was augmented by an influx of World War II refugees under the U.S. Displaced Persons Act of 1948. Driven by this small, new wave of post-War II immigration and the continued need to preserve Lithuanian identity, a Springfield Lithuanian-American community persisted even decades after St. Vincent de Paul’s became Springfield’s last national church to close in 1971. In 1988, a daring Lithuanian “Singing Revolution” inspired 439 local Lithuanian-Americans to incorporate a new club to celebrate their heritage. 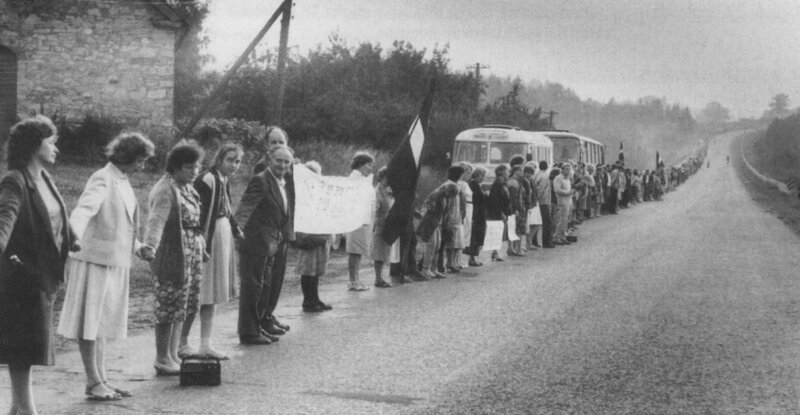 Lithuania was restored to independence with the breakup of the Soviet Union in 1991.